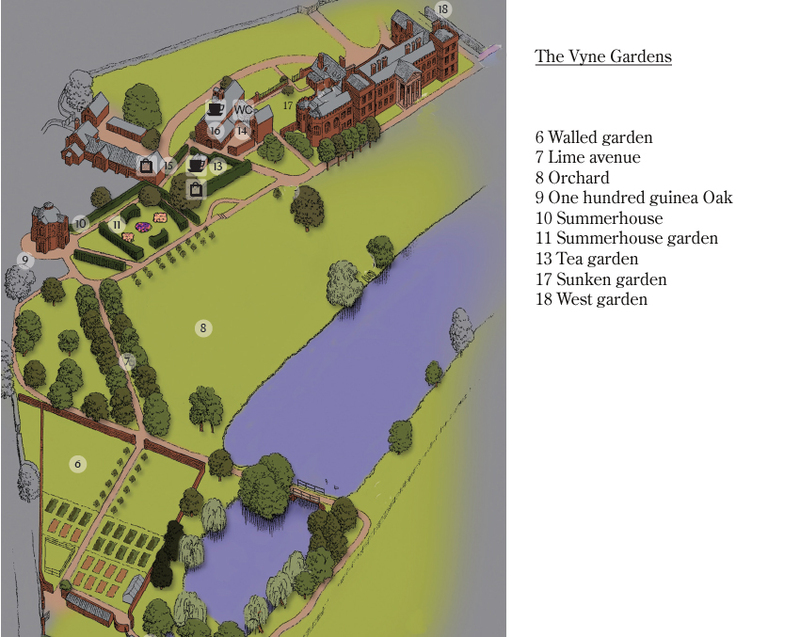 Since the middle ages the Vyne park estate has gone through many changes. Originally a medieval park it was later turned over to farming and formal gardens during the 16th and 17th centuries. These were supplanted by informal landscaping during the 18th century. 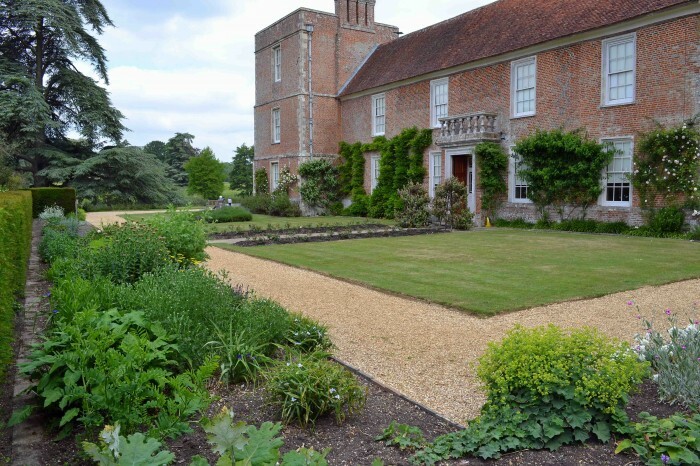 The Chute family created gardens to the north-east of the house incorporating two red brick summer houses one of which survives to this day. 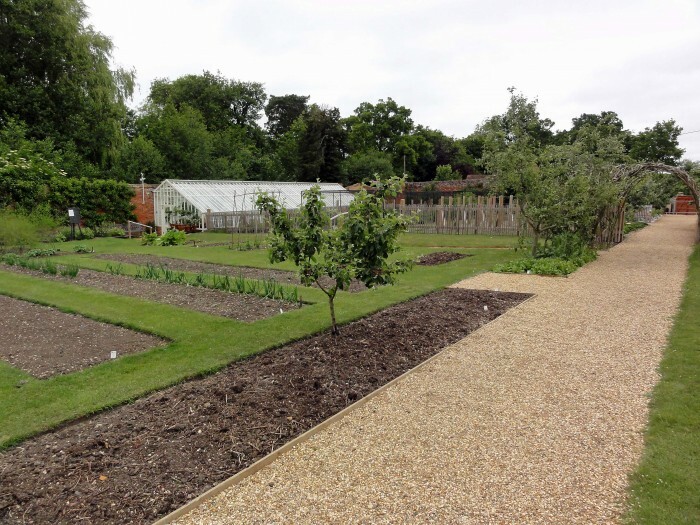 The walled garden was built sometime between the 17th and 18th centuries and provided produce for the household. Much of the estate is covered in heavy London clay, this and the low-lying terrain accounted for it’s tendency to become waterlogged after heavy rain in winter and early spring according to family records. In the 19th century an iron bridge existed over the lower part of the lake, built on the foundations of an earlier bridge. This was lost in a storm in 1986. The National Trust hopes to restore this sometime in the future. The present estate is some 1120 acres and is much reduced since the 19th century when it was a much larger estate. The storms of 1987 and 1991 removed many important trees from the landscape, however the avenue of Lime trees planted by the Chute family and running northward from the summerhouse can still be seen. Other important features of the gardens are the 100 guinea Oak and the claret vines which are trained on formal pyramidal frames by the door to the Stone gallery. 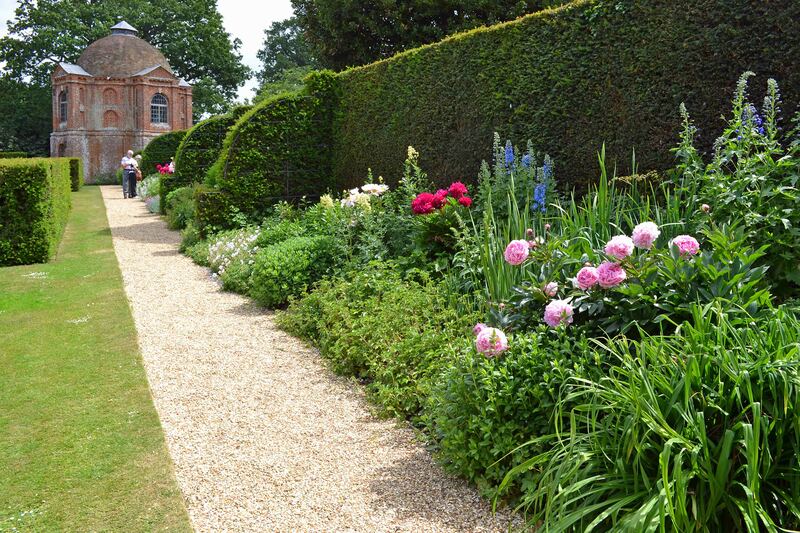 The Herbaceous borders to the west of the house were designed by the National Trust in the 1960s and were last replanted in 1996. The wild garden was created by Sir Charles Chute around 1910 using William Robinson’s principles of semi-natural planting. Since 1995 the National Trust has added strong growing perennials in a contemporary version of the same approach. Currently a formal Edwardian flower garden is being created in the enclosed area in front of the summerhouse. This has been achieved with clipped Yew and box hedges and beds of mixed perennials, bulbs and annuals laid out in a Greek-cross plan inspired by the plan of the summerhouse itself.